Location: Miami, Florida. 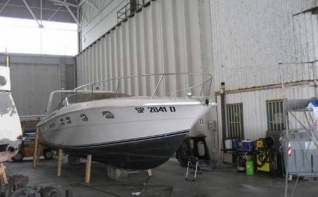 In new condition – COMPLETE refit in 2005 including new engines, new generator, all new machinery, new electric, new cabin furniture, new cockpit upholstery and many custom features, all top of the line. Visit www.yachtcouncil.com and type \”Magnum Marine\” for details.